Press Conferences on Oil and Gas, SEED Awards (31 October) / Can oil and gas fuel the transition to an inclusive green economy? NAIROBI, Kenya, October 30, 2013/African Press Organization (APO)/ -- Ministers of energy from Kenya, Ghana and Uganda along with top government oil and petroleum officials from the developing world will discuss the responsible management of oil and gas as a part of a healthy energy mix. Speakers will attempt to answer the question: can oil and gas fuel the transition to an inclusive green economy? Emerging oil producers in the developing world are mostly island or coastal states, and as such especially vulnerable to the impacts of climate change. 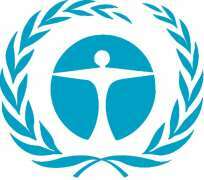 It is, therefore, imperative for these countries to place environmental considerations high on the development agenda. The press conference will also introduce the South-South Energy Initiative, an independent, intergovernmental group aimed at institutionalizing ways for countries to share their technology, data and experience on sustainable oil and gas management. When: Thursday, 31 October, 3:30 p.m. – 4:15 p.m.